Brown, JS and Connolly, DA. 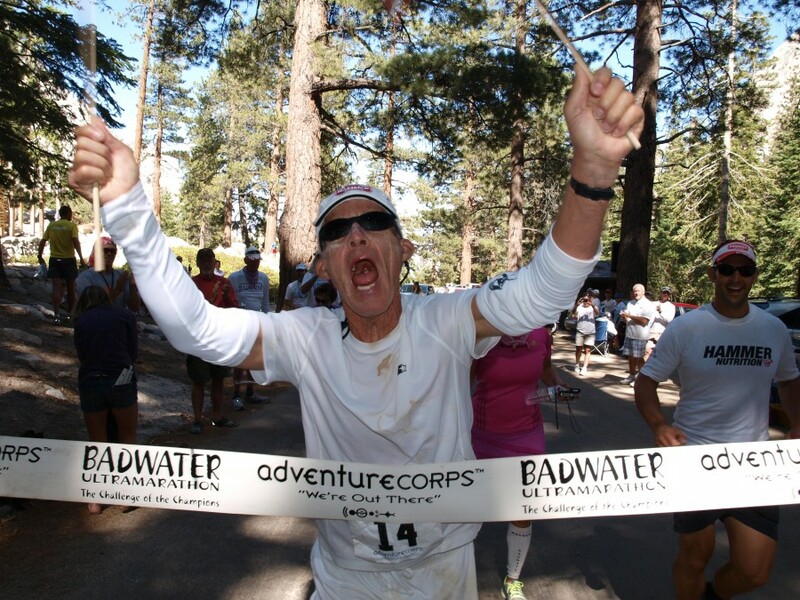 Selected human physiological responses during extreme heat: The Badwater Ultramarathon. 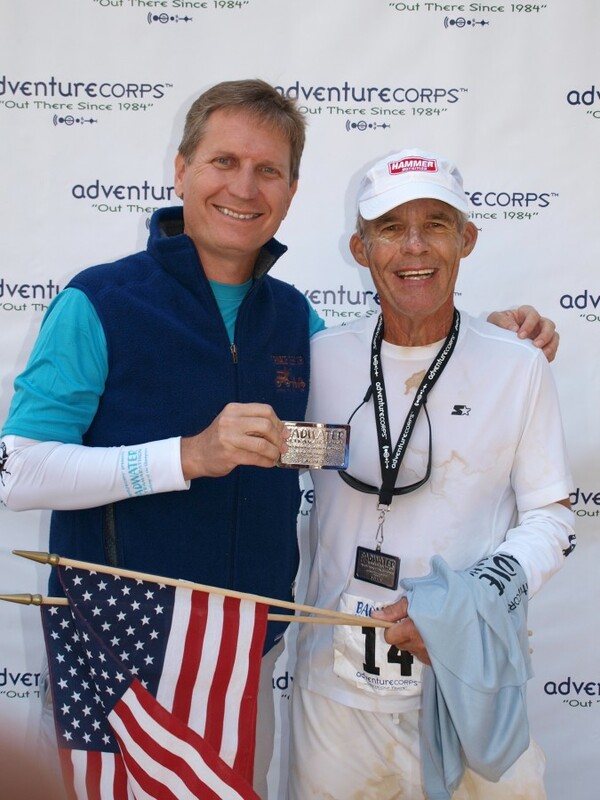 J Strength Cond Res 29(6): 1729–1736, 2015—The purpose of this article was to examine various physiological responses during an ultramarathon held in extreme heat. 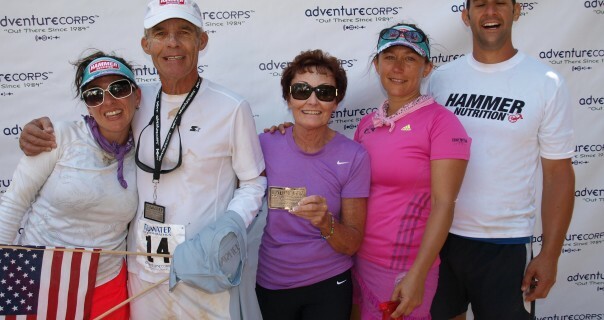 Our investigation was conducted at The Badwater Ultramarathon, a nonstop 217-km run across Death Valley, CA, USA. This study recruited 4 male athletes, average age of 43 (6SD) (67.35), (range) 39–54 years. All 4 subjects successfully completed the race with a mean finish time of 36:20:23 hours (6SD) (63:08:38) (range) 34:05:25–40:51:46 hours, and a mean running speed of 6.03 km$h21 (6SD) (60.05), (range) 5.3–6.4 km$h21. The anthropometric variables measured were (mean, 6SD) mass 79.33 kg (66.43), height 1.80 m (60.09), body surface area 1.93 m2 (60.16), body mass index 24.38 kg$m22 (61.25), fat mass 13.88% (62.29), and body water 62.08% (61.56). Selected physiological variables measured were core body temperature, skin temperature, heart rate, breathing rate, and blood pressure. Rate of perceived intensity, rate of thermal sensation, and environmental factors were also monitored. Our study found (mean and 6SD) core body temperature 37.498 C (60.88); skin temperature 31.138 C (63.06); heart rate 106.79 b$min21 (65.11); breathing rate 36.55 b$min21 (60.60); blood pressure 128/86 mm Hg (69.24/4.62); rate of perceived intensity 5.49 (61.26); rate of thermal sensation 4.69 (60.37); daytime high temperature of 46.68 C, and a mean temperature of 28.358 C. Our fastest finisher demonstrated a lower overall core body temperature (36.918 C) when com- pared with the group mean (37.498 C). In contrast to previous findings, our data show that the fastest finisher demonstrates a lower overall core body temperature. We conclude that it may be possible that a time threshold exists whereby success in longer duration events requires an ability to maintain a lower core body temperature vs. tolerating a higher core body temperature. This was presented at the Medicine & Science In Ultra-Endurance Sports Conference on July 23-24, 2015, in Squaw Valley, CA. Additionally, The Wilderness Medical Society Journal published the abstract. Click here for the full eight-page PDF of their paper.